それは素敵な季節の始まり！/ It is the beginning of wonderful season! It is the beginning of wonderful season! When I walked along vegetable field, I found the surface of the water in the water tank. 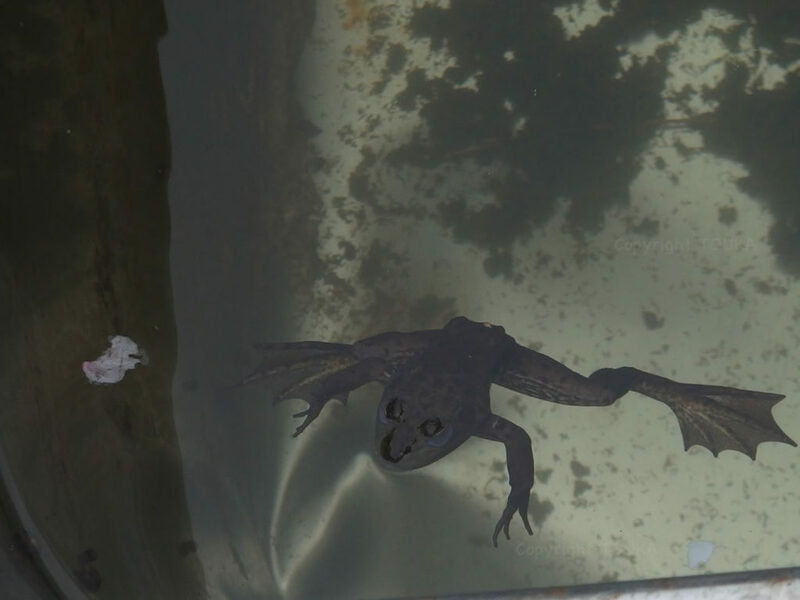 I looked into the tank and I found a frog floating in it with a Sakura petal. It is spring now even in the water. Thank you and you have a nice day of wonderful season. P.S. Starting last week, we can go into the sea without marine boots. I can feel spring with my soles.